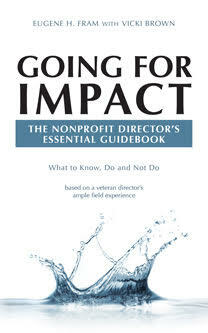 How Prepared Are Directors for the Challenges of the Nonprofit Culture? • A Slower Pace: The pace of the decision process is decidedly slower in nonprofits than in the corporate board. This can occur for a number of possible reasons. It could be that the NFP’s charter may purposely set up requirements that preclude hasty and possibly unwise decisions—by mandating a period of deliberation before an action is formally voted upon. It may possibly be that the organization recognizes that it has insufficient staff for fast implementation. And there have been a number of cases when a nonprofit board has had to defer action because a succession of meetings has not produced a voting quorum! • Get or Give Obligations: Nonprofit directors are said to stand “10 feet tall” in response to their commitment and service to the organization. The value of their time, energy and expertise is immeasurable. Another important aspect of good board management is ensuring the availability of adequate funds. To this end, many nonprofits ask board members to help generate and/or make annual donations themselves within the parameters of their resources. Commonly, directors are urged to make a “stretch” gift– and there are times when they are even requested to make their largest donation to that organization or seek donations or services from others. Some directors resist this type of pressure. But even with a development staff taking proactive development responsibility, it is still the board’s responsibility to pursue funds by every appropriate means. • Board Chair, CEO and Staff Relationships: This triumvirate of positions makes up the lifeline of any nonprofit organization. Both Board Chair and CEO have their own designated spheres of influence that sometimes succumb to a board culture that is resistant to change. The staff has its own set of issues related to the nonprofit’s “flat” structure. Here are some cultural breakdowns in internal relationships that can be disruptive to the organization. The NFP Board Chair is probably more important than in an FP organization. The rank and file board members often defer to the current chair on proposed actions– generally to avoid conflict, which might impact donations or hobble potential networking efforts. This hesitancy to challenge the leadership cannot only impede progress but is apt to give the board a “rubber stamp” image.. The CEO will be the keystone to implementing a high-performance culture in a nonprofit organization. 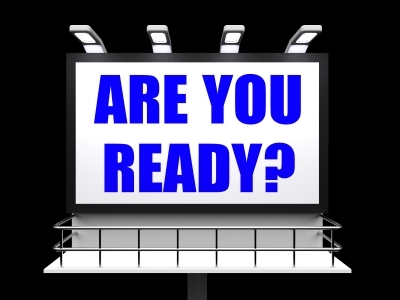 Boards are frequently resistant to consider replacing a CEO as long as he/s is doing a “C” or “B” level job. “If it’s not broken, why fix it?” is the view, albeit a short-term response. Understandably, the frequently shifting body of directors finds that maintaining the status quo is less disruptive. It is not, however, always in the best interest of the organization and its potential to grow. And in the end, a new CEO can stimulate positive change. The Staff, unlike in the FP hierarchy, is structurally often only one or two levels below the board, thus well attuned to the frequent rotations of board personnel. A continual shifting body of directors makes staff members vulnerable to changing priorities, which can significantly impact their work. Nonprofits should offer many opportunities for staff and board to communicate appropriately—to interact in informal settings and on board-staff committees. Summary: Once acclimated to the unique challenges of the nonprofit culture, serving on the board can provide an exceptionally rewarding experience. Directors will have a chance to work with others who are dedicated to the work of serving people with significant personal needs, improving the positive contributions of professional and trade associations and bringing value and enrichment to their communities. ← Should Mature Nonprofits Allow Board Micromanagement? Thanks for your insights. Appreciate your circulating it to others who make be interested.